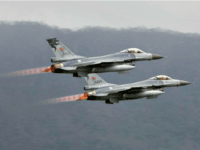 Taiwan’s latest military exercise began on Tuesday with a simulated attack on coastal bases by Chinese warplanes hypothetically launched from the Liaoning, currently the only functional aircraft carrier operated by the People’s Liberation Army Navy. 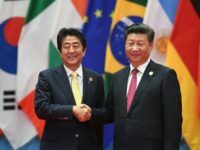 Chinese officials announced on Friday that Japanese Prime Minister Shinzo Abe will visit China from October 25 – 27, in concert with the 40th anniversary of the “Treaty of Peace and Friendship” signed by the two nations. 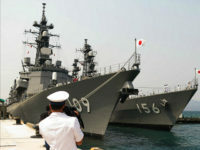 Japan courted the wrath of China on Monday by announcing its submarine Kuroshio has been dispatched to join an anti-submarine warfare exercise in the South China Sea on Thursday, marking the first officially confirmed drill for a Japanese sub in those contested waters. 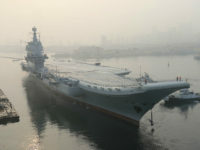 China’s first domestically-designed aircraft carrier departed the Dalian shipyard on Monday for its second sea trial, having made a number of improvements and adjustments after its maiden voyage in May. 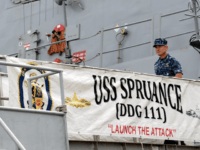 The Chinese People’s Liberation Army Navy (PLAN) conducted a competitive mine warfare exercise in the East China Sea last week. 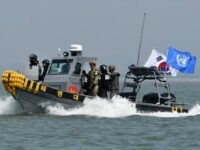 The exercise was intended to help the Chinese military both become more adept at clearing minefields and more skilled at creating them. 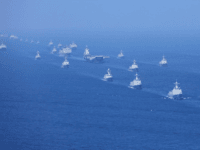 China’s latest show of naval force occurred on Sunday in the East China Sea, where the aircraft carrier Liaoning led a fleet of undetermined size in live-fire combat drills. 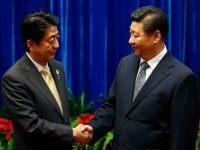 On Saturday, Japan activated its first marine combat unit since World War Two. 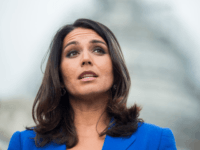 China immediately panicked over the relatively small Japanese force, denouncing the revival of “militarism” under Prime Minister Shinzo Abe and advising every other Asian nation to go on “high alert” in the state-run Global Times. 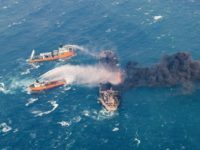 Oil slicks are washing ashore in Japan after an Iranian tanker sunk in the East China Sea last month, local coastguards have confirmed. U.S. Pacific Commander Admiral Harry Harris has been picked as the new U.S. Ambassador to Australia in a move that has been warmly welcomed Down Under. 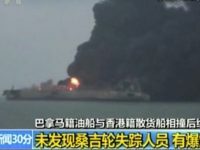 The Iranian oil tanker Sanchi is leaking heavy bunker fuel through a massive hole in its side, rescue operation leaders confirmed this week, after exploding and sinking into the East China Sea carrying its fuel and a large shipment of the lighter petroleum product condensate. 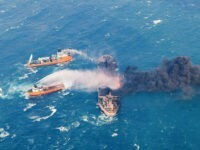 The explosion, sinking, and subsequent oil spill caused by Iranian oil tanker Sanchi in the East China Sea between China and Japan is now an “unprecedented” disaster in the region, a Chinese official said on Friday. The oil spill has now spread to cover an area the size of Paris. 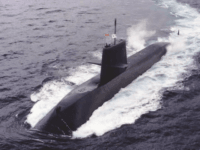 The Japanese military claims to have discovered a Chinese Shang-class nuclear attack submarine in the East China Sea, operating submerged near the disputed Senkaku Islands on the perimeter of Japanese territorial waters. 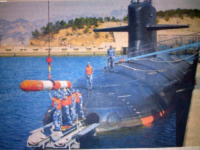 The sub was initially detected on Thursday and then spotted again on Friday cruising on the surface and sporting a Chinese flag. 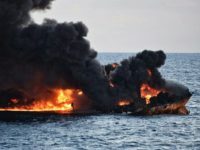 A burning Iranian oil tanker that crashed in the East China Sea has sunk after one week of rescue operations, Chinese media have confirmed. 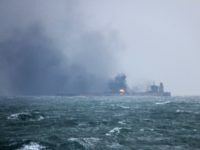 Rescue efforts have been suspended in the East China Sea after a stricken Iranian oil tanker exploded following days of fires onboard the vessel. Extreme weather conditions are hindering a rescue operation in the East China Sea after an Iranian oil tanker collided with another ship causing a fire that has yet to be extinguished. 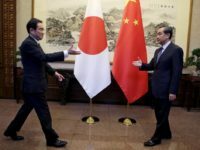 Japan’s annual defense report is focused on the threat from North Korea, but it also has a good deal to say about China. 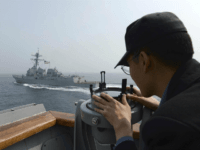 Those two Japanese concerns converge in a live-fire exercise held by the Chinese Navy off the Korean coast this week, in which dozens of different types of missiles were tested, air intercepts were simulated, ground assaults were practiced, and submarines prowled the waters. 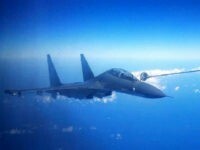 An extremely dangerous encounter occurred over the East China Sea on Sunday when two Chinese fighter jets flew within 300 feet of a U.S. Navy recon plane, causing the American aircraft to “take evasive action to avoid collision,” according to a U.S. official. 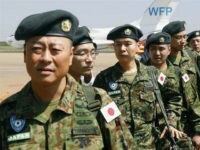 A survey published Sunday found that over half of Japanese voters support amending the pacifist constitution to legitimize the Self-Defense Forces (SDF), the nation’s armed forces, by giving them a formal role in the government. 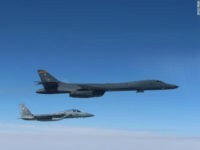 On Thursday, U.S. officials announced that two Chinese fighter jets conducted an “unprofessional” intercept of a U.S. Navy plane in international airspace over the East China Sea. 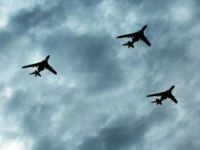 Emboldened by a visit from Secretary of State Rex Tillerson that Beijing has celebrated as a success, China has lodged a protest with the United States over a B-1 bomber flying within an Air Defense Identification Zone (ADIZ) set over Japan’s Senkaku Islands in the East China Sea. 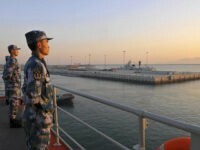 A bill introduced by Senators Marco Rubio (R-FL) and Ben Cardin (D-MD) on Wednesday calls for sanctions against Chinese individuals and companies that participate in island-building projects across the disputed South China Sea region. 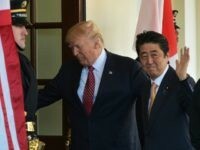 Japan’s Prime Minister Shinzo Abe has arrived in Washington for a long day of talks with his American counterpart President Donald Trump, which the pair will follow with a casual visit to Trump’s Mar-a-Lago estate in Florida. 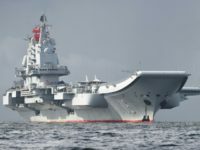 China’s only aircraft carrier, the Liaoning, has been roaming through the South China Sea with its battle group in tow, making other Pacific powers nervous, especially Taiwan and Japan. 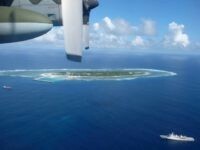 The government of Japan has just drafted a record-breaking 5.13 trillion yen ($43.5 billion) defense budget plan, aimed at protecting its territory from Chinese military belligerence in the East China Sea and preparing for any instability in the increasingly volatile South China Sea. 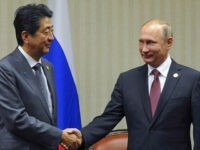 Russian leader Vladimir Putin is slated to meet his Japanese counterpart Shinzo Abe this week to discuss a 70-year-old territorial dispute and, hopefully, bring Japan closer into Russia’s orbit. 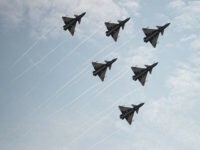 The Chinese military conducted what it called a “routine” control that sent Japanese jets scrambling Sunday over the East China Sea, with Japan warning that they are keeping an eye on the increasingly “expansive” activities of China’s military assets. 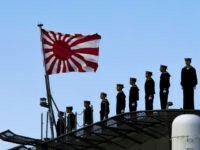 Japan’s defense minister announced in Washington Thursday that the nation is seeking to participate in joint maritime exercises with the United States in the South China Sea, a direct challenge to China’s repeated demands for Japan to stay out of the region. 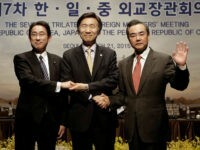 The foreign ministers of China, Japan, and South Korea are looking to schedule a meeting in Japan next week, the first time Chinese Foreign Minister Wang Yi will have visited Japan and first such visit since Xi Jinping became president.